﻿ One Revolution Internal Tube Cutter OTC type. otc series tube cutters - 5/8" OD to 2.1/2" OD. 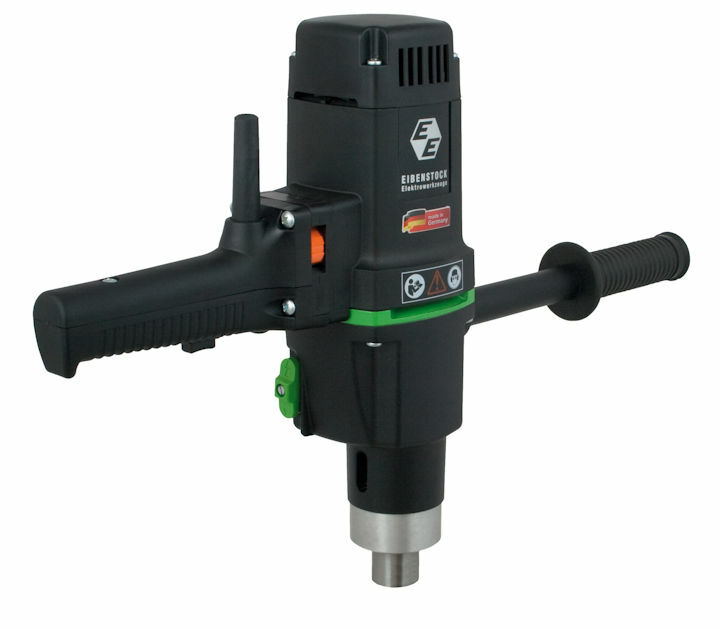 The Powermaster Industrial "One Revolution" Internal Tube Cutter pierces and cuts off non-ferrous and thin walled ferrous tubes in one revolution and is designed for hand operation using a ratchet handle. The Cutter Tool Bit operates on an eccentric principle. 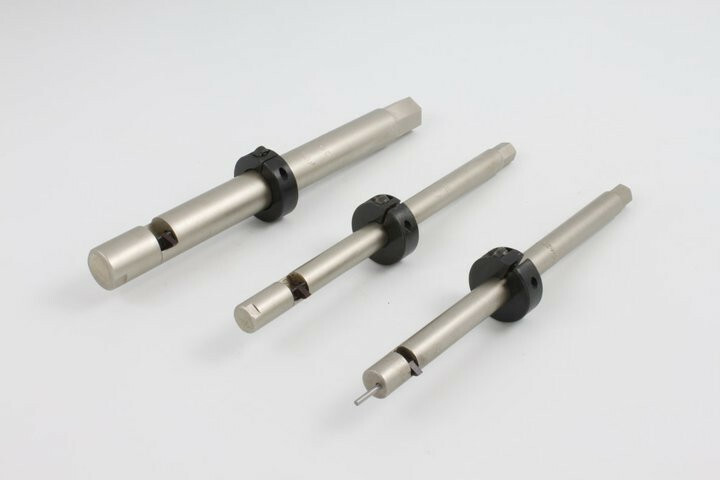 The Tube Cutter is entered in the tube with the Tool Bit in closed position , ratchet is applied and turned in clockwise direction. 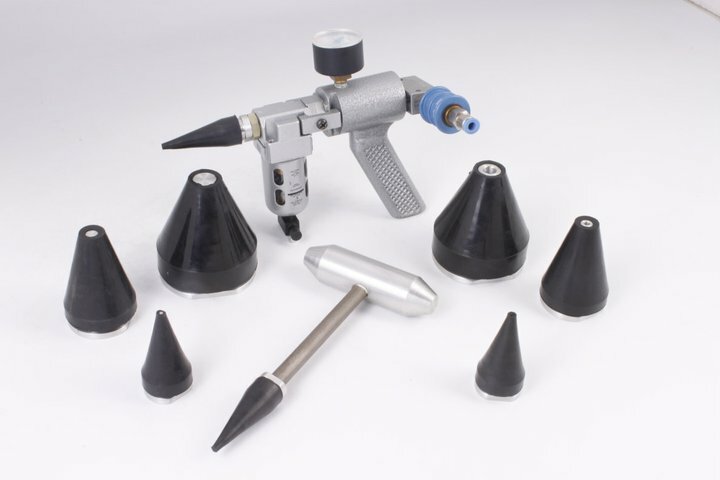 The Tool Bit contacts the tube during the One Revolution and pierces the tube wall and as turning is continued the Tool Bit shears through the tube along its circumference. This Cutter is fitted with an adjustable collar enabling it to reach into tubes at various distances and they are available in optional increments of 2”(50.8mm). Standard adjustable reach is 6”(152.4mm). ”A” reach = 8”(203.2). “B” reach = 10”(254.0mm). “C” reach = 12”(304.8mm) etc. All Cutters are available for MM tube sizes.